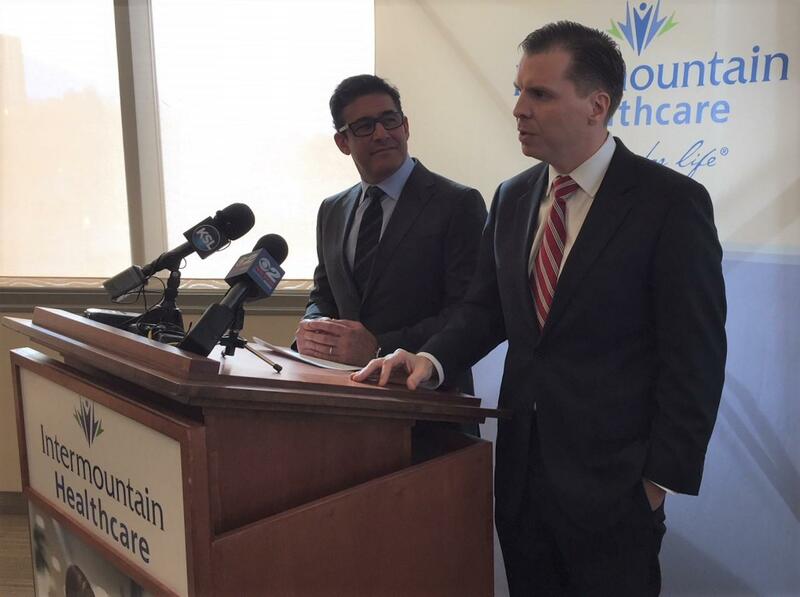 Intermountain President and CEO Marc Harrison and Vice President of Enterprise Initiatives Dan Liljenquist. Intermountain Healthcare is getting into the drug-making business. That announcement came from representatives today who said they’ll partner with four other healthcare systems on a plan to start manufacturing low-cost, generic medications. The problem, according to Dan Liljenquist, an Intermountain VP, is that some drug makers are creating artificial shortages and then driving up prices. He said the cost of some drugs has been jacked up 1,000 percent. "We see the issues every single day in our hospitals. Everyday as we’re trying to chase down a drug so we can provide a cancer treatment for a patient whose dying," Liljenquist says. In response they plan to make their own generic drugs for less money. Intermountain is leading the plan along with the U.S. Department of Veterans Affairs, Trinity Health, SSM Health and Ascension. Together they total around 450 hospitals nationwide. Liljenquist and Intermountain CEO Dr. Marc Harrison would not name the specific drugs or the conditions they treat because they said it would reduce competition once their new nonprofit organization enters the market. But Harrison said they hope to make around 20 different drugs as widely available as possible. "We’re not looking to make an exclusive club here. We’d like almost for you to think about this, and we’re thinking about this, almost like a public utility. This is available for social good," Harrison says. The five groups will spend 2018 forming the new nonprofit company. They’ll have details of what drugs they’re making in 2019.